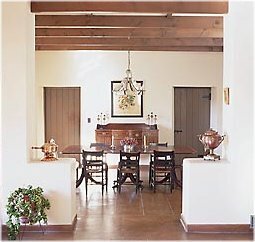 Kitchen: Cook up a storm in one or both of the ranches kitchens. Catering: Have a meal catered by one of Sonoita's Caterers. Restaurants: Eat out at one of Sonoita's or Patagonia's restaurants. Sonoita Restaurants: Only 3 miles away. Patagonia Restaurants: Small town charm only 12 miles away.